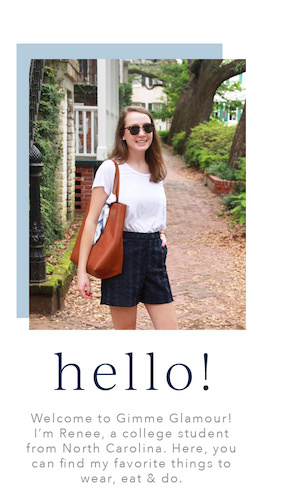 I love finding multiple ways to wear pieces in my closet to maximize my wardrobe. 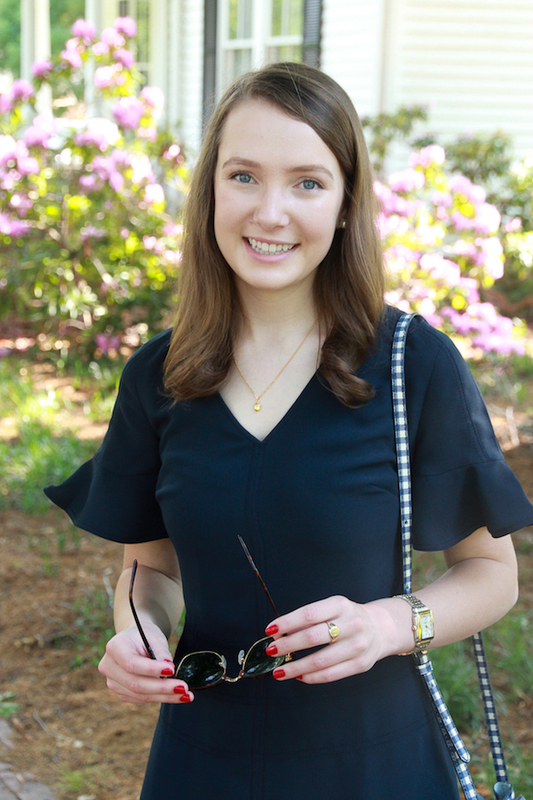 When I picked this dress up at Banana Republic last week for my summer internship, I knew it would be a versatile piece that I could wear a number of ways. I love the little flutter sleeves and the seams that add a little bit of a geometric look to the a-line skirt. 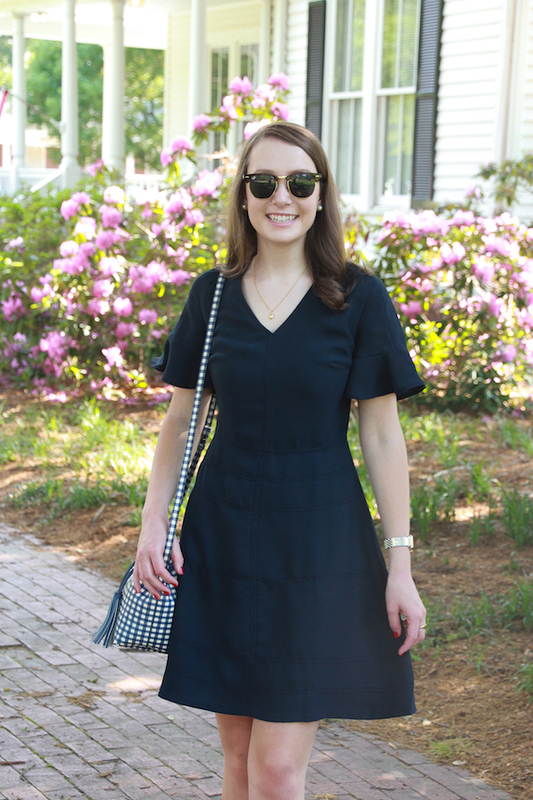 In today's post I'm showing y'all two ways to wear this dress: a more dressed up look perfect for brunch and then a more formal look that I would wear to church or work. 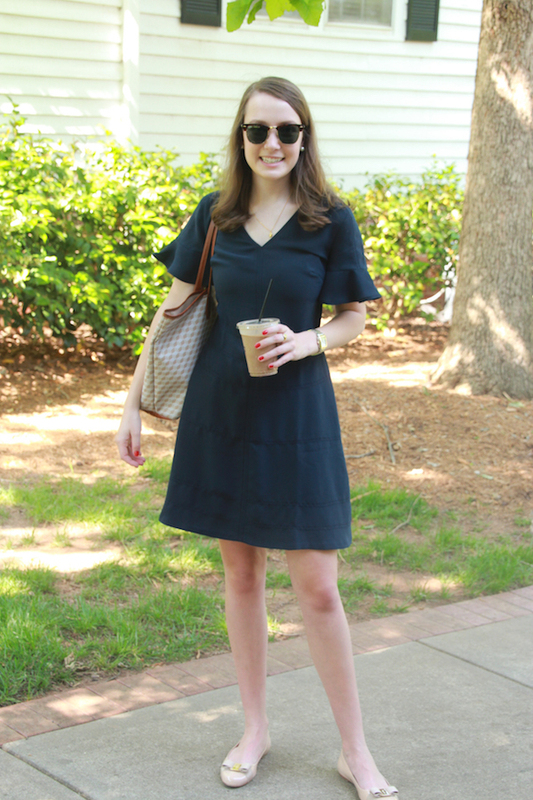 Also, the dress I am wearing is currently on sale at Banana Republic for 30% off, no code needed! 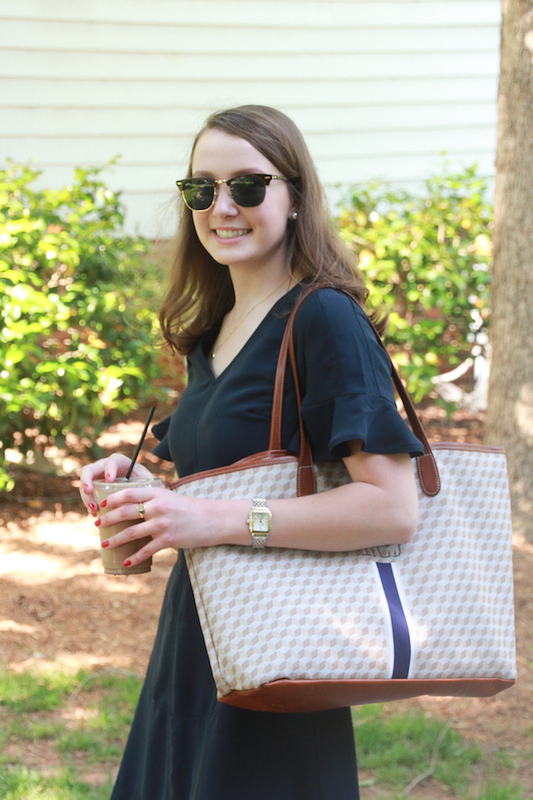 For the first look, I dressed this look up with a fun patterned bag and my favorite heels. 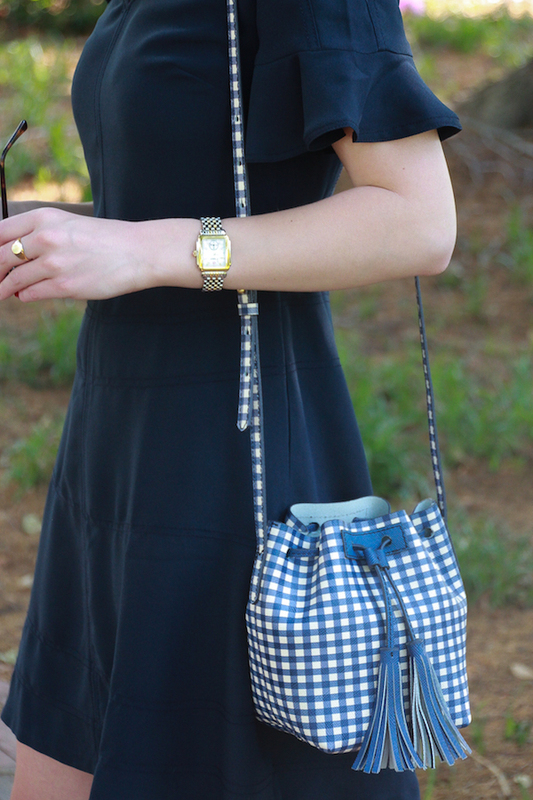 My friend got me this gingham bucket bag for my birthday a few years ago so I can't link this exact one, but there are so many fun gingham clutches and crossbody bags now, so I have linked a few under $100 below for y'all. 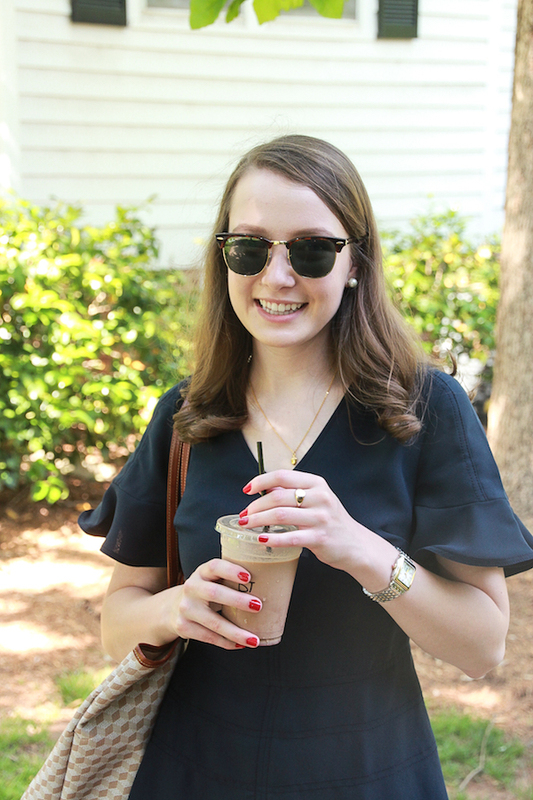 I think this is such a fun and classic look for brunch or attending a graduation. In this next look, I switched out the shoes and purse for a more classic, neutral look. 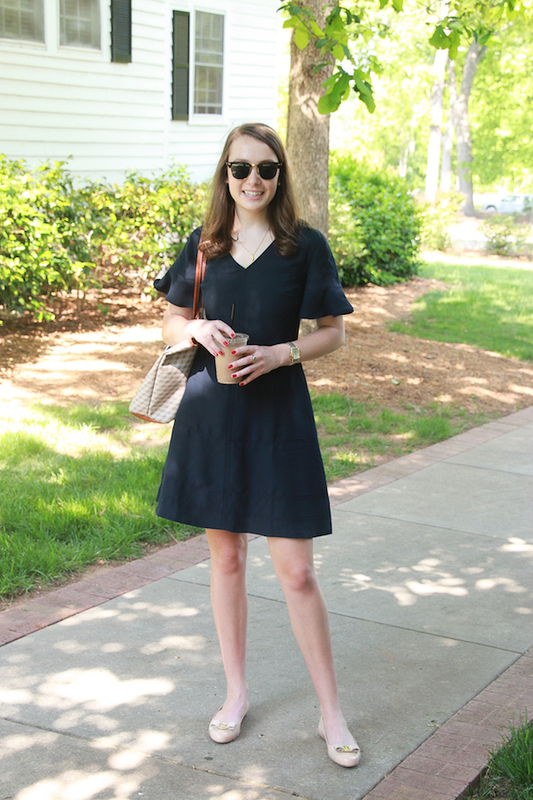 I love how the dress looks with my classic grosgrain bow flats, which I found and awesome dupe for! There's a nearly identical pair at DSW for $30! 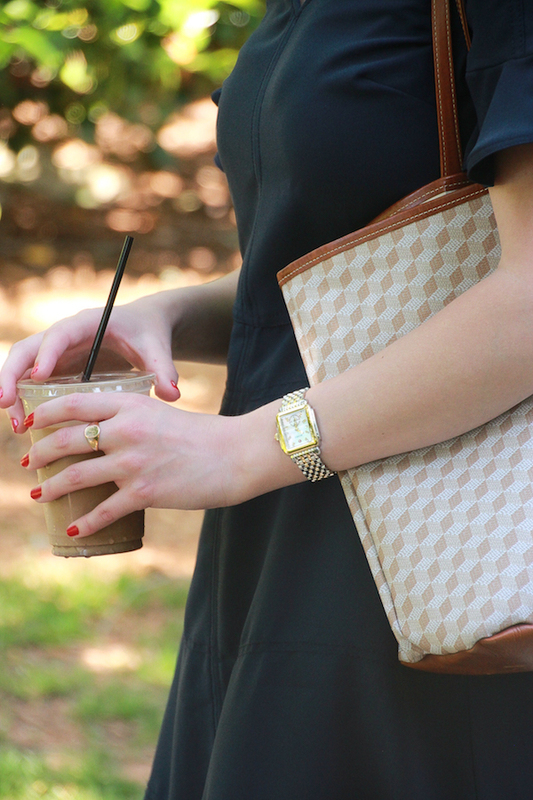 I added my go-to tote bag and grabbed an iced coffee, so I'm ready head out to my internship. 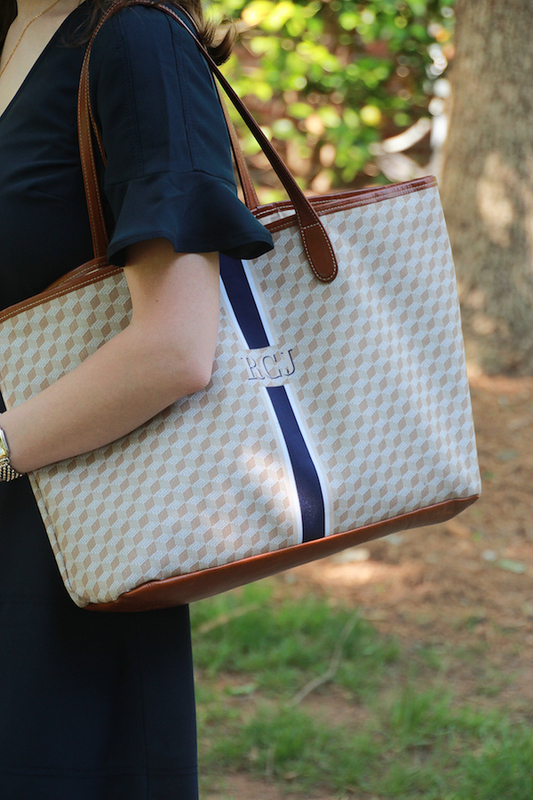 I especially love how the navy stripe on my bag matches the navy dress. 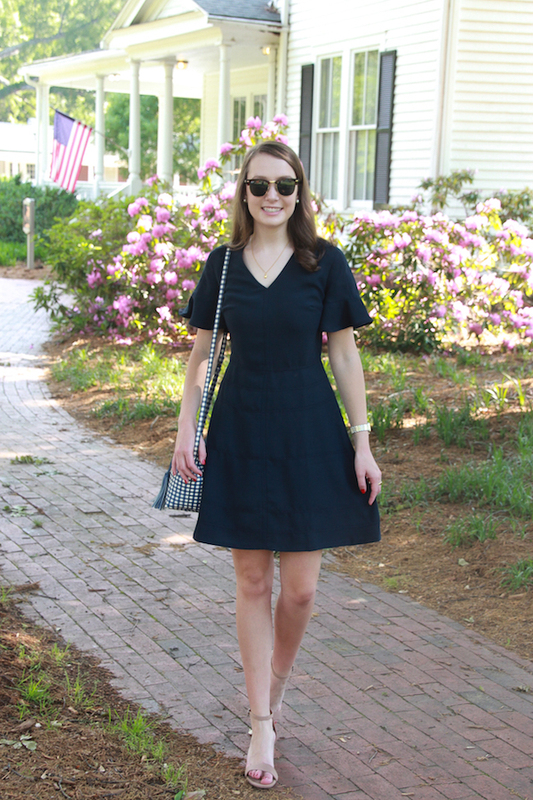 I love how easy it is to switch up the look of this dress and I think it would even look great with white Jack Rogers or sandals for a more casual look, too!